Enjoy live music in Golden at our outdoor festivals, on our patios overlooking Clear Creek or late night at one of Golden’s restaurants and bars. This weekend has a full schedule of live music for your pleasure from acoustic jam sessions to creekside jazz sessions with most being free and open to the public! 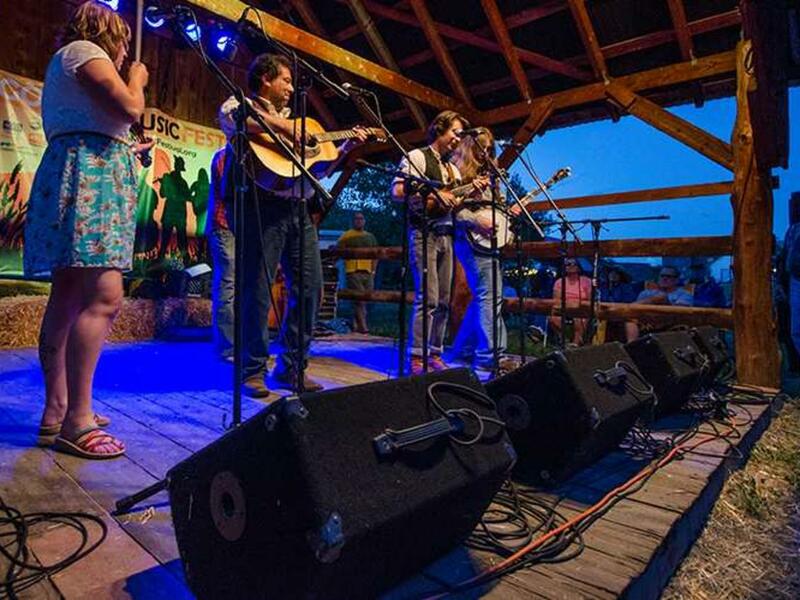 Next weekend, July 24-25, enjoy free live music at Buffalo Bill Days in Parfet Park. Open and free to public! Music starts at 5 pm on Friday. Buffalo Rose Dave Frisk (In The Bar) 6:00 P.M. Cannonball Creek Brewing Company The Lookout Mountain Boys 7:00 P.M. Golden Hotel Ragged Union 6:00 To 9:00 P.M. Golden Moon Speakeasy Atomic Pablo 7:00 To 10:00 P.M. Grappa Mediterranean Bistro When It Was 6:30 To 9:30 P.M. The Buffalo Rose Class Reunion 6:00 P.M. Golden Moon Speakeasy Mikey Smith 8:00 To 11:00 P.M. Grappa Mediterranean Bistro Patrice Leblanc On Grand Piano 6:00 To 9:00 P.M. Windy Saddle Cafe Bittersweet 6:30 To 8:30 P.M. Wrigley’s Chicago Bar & Grill Boomers 5:00 To 9:00 P.M.
Golden Moon Speakeasy Soultyme 8:00 To 11:00 P.M. Grappa Mediterranean Bistro Patrice Leblanc On Grand Piano 6:00 To 9:00 P.M. Wrigley’s Chicago Bar & Grill Pj Zahn Band 3:00 To 7:00 P.M.
Wrigley’s Chicago Bar & Grill Trip Wire 3:00 To 7:00 P.M.